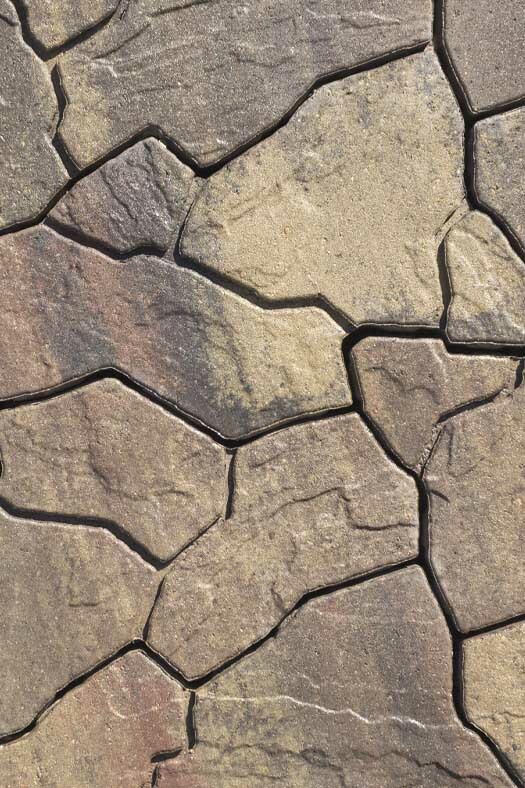 The enduring appeal of natural flagstone with the advantages of a manufactured paver. 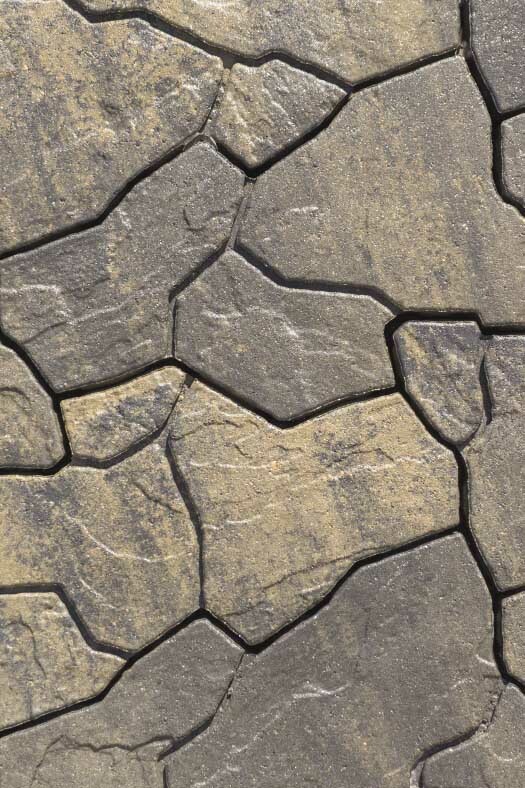 Introducing Flagstone, Interlock’s new one-shape paver with six unique slate faces. At 1.6 sq. ft. each, Flagstone lays fast in a running bond. When sanded, its false joint design virtually eliminates any noticeable pattern. 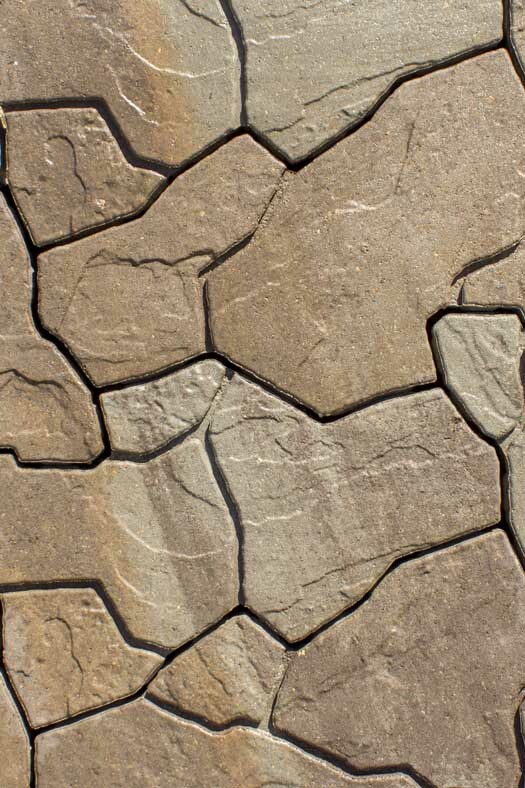 Suitable for patios, walkways and insets, Flagstone is sure to be popular with designers and property owners. Six Faces 2.375" H 1.58 sq. ft. 45.8 lbs. 10 6 60 9.5 sq. ft. 95 sq. ft. 2,806 lbs. Available by layer or full pallet. Lay in a running bond pattern. Use a buffer pad between the plate compactor and surface to prevent scuffing. Please note: Always refer to actual product when making final color selection. Click here for assistance and to request the location of your nearest distributor(s). We are always looking for gorgeous projects! Tell us about yours for a chance to be featured in our next catalog or project idea galleries. Some of our literature is available to "Browse". This option is useful for quick viewing when using your mobile device or when using a computer without Adobe Reader or a similar PDF viewer. © Interlock Concrete Products, Inc.